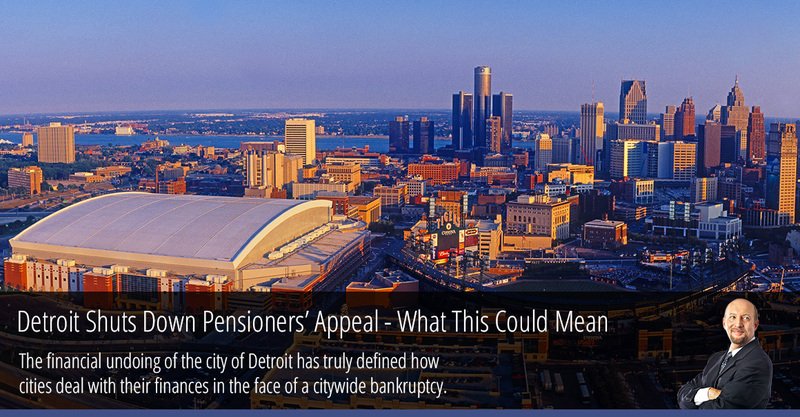 Detroit Shuts Down Pensioners' Appeal – What This Could Mean for Future City Bankruptcies | Queens Bankruptcy Attorney - Bankruptcy Lawyer in Queens - Bruce Feinstein, Esq. According to an article by Reuters, the 6th U.S. Circuit Court of Appeals in Cincinnati handed down the decision that restoring the pension cuts would ruin Detroit’s reorganization plan as described in its Chapter 9 bankruptcy. This process helped the city cut out $7 billion of debt, and put an end to its 17-month bankruptcy in December 2014. For those who voted to maintain the cuts, the possible harm that undoing this would cause to the city’s residents outweighed the harm done to the complainants. Affected people would run the gamut from city businesses and agencies to Detroit’s residents. On the losing end of this are the retired pension holders. Thousands of Detroit retirees had their pensions cut down by 4.5%, along with an end to cost-of-living increases and lowered insurance coverage. Pensions, known as a form of retirement plan, are funds into which money is added during an employee’s employment that they then draw from in retirement. But in the case of Detroit, that money went to close a nearly $1.9 pension plan funding hole instead. This is a tough case and a tough ruling, and is shows just how difficult it is to deal with bankruptcy for something as complex as a city. This court said that the retiree’s claims were equitable mootness, which is a legal term used to prevent bankruptcy reorganizations from being completely ruined. Having a bankruptcy fall apart would harm both parties that agreed to it, making it impractical to grant relief to the appellant. This is a certainly a bittersweet ruling for those following the case. It demonstrates the importance with which the courts hold bankruptcy rulings, but does this at the cost of city retirees and their pensions. This decision upheld a prior ruling in 2015, so the courts are staying steadfast in their decision to stand by the bankruptcy agreement and get the city of Detroit financially stable. However, there is also little history of applying equitable mootness in the case of a municipal bankruptcy, so this is uncharted territory that could end up silencing the retirees claims. We will watch this case to see fit the plaintiffs ask the court to reconsider the decision. But for now, it sheds light on the fact that city pensions, like other retirement investments, should not be a person’s sole form of retirement planning. Careful planning and diversification is key to a successful retirement. If you are an individual or a small business owner considering filing for Chapter 7 or Chapter 11 bankruptcy in Queens, New York, Contact the Law Offices of Bruce Feinstein, Esq. today for a Free Consultation.